Spice up your boring computer with these pretty cherry blossom stems! 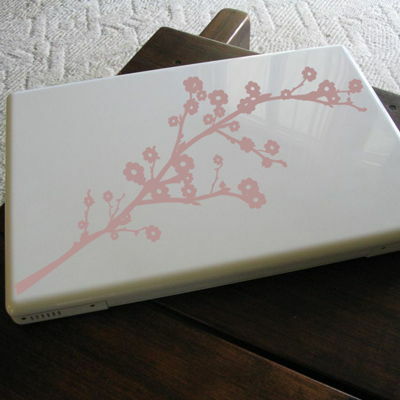 These cherry blossom laptop decals can be placed ANYWHERE, including your car window, toilet, mirror, locker, you name it! They measure a dainty 14 inches wide and come as a set of two! Each stem measures 14 inches wide by 6 inches high. When placed at an angle, as shown, they span about 13 inches. These dainty cherry blossom stem laptop decals come as a set of two! You will receive two stems in the same direction. Just cut them apart before applying. Practice decals are included with every order!